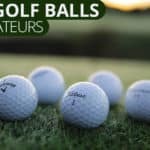 Amateur golfers (rightfully so) often think that Titleist golf clubs designed for good players are difficult to hit. I like to watch players with Titleist AP2 or T-MB irons in the bag when i’m on the course or the range. Usually, the player is either a very good ball striker or is hitting the ball completely sideways half the time. Titleist has seemingly heard the grumblings of us less-pure ball strikers that can break 80. The new Titleist AP3 irons feature slight longer blade lengths than the AP2s, but a smaller clubhead than the the AP1s. This increased clubhead size makes the Titleist AP3s a bit more forgiving. The Titleist AP3 irons feature a hollow face that is L-shaped and wrapped under the leading edge of the golf club and onto the sole. 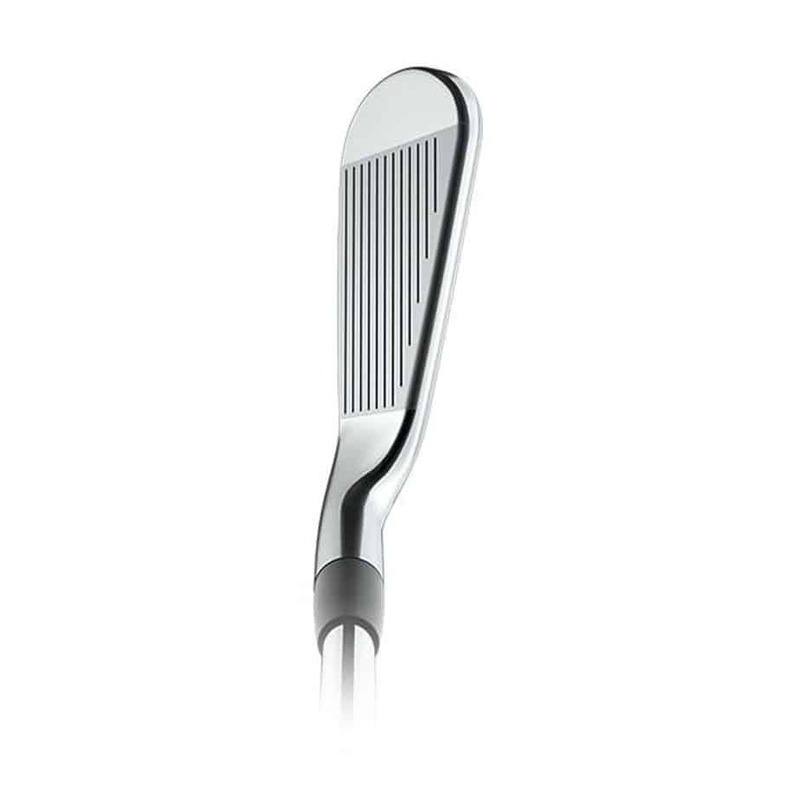 The metal used for this clubface is unsupported 455 stainless steel while the rest of the clubhead is 17-4 stainless. 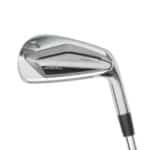 The unsupported 455 stainless combined with the wrapped face and hollow clubhead makes the face of this clubhead bounce. 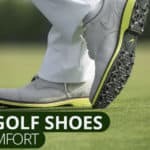 This improved design really launches the golf ball off the face and produces a lot of ball speed. This sends the ball farther down the fairway and allows to stay on target a bit better when compared to the AP2s. 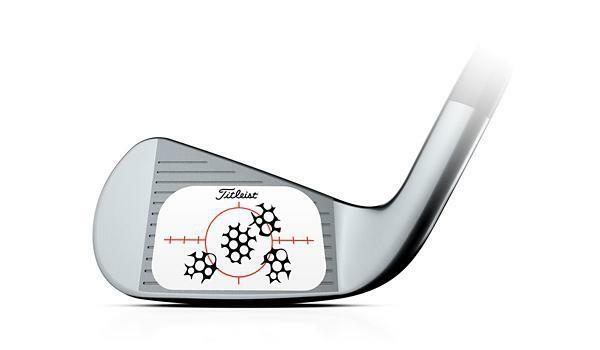 But don’t kid yourself, these are not game improvement irons. You still need to be a fairly consistent ball striker to get the benefit out of these irons. 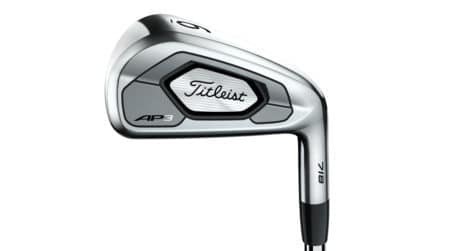 The Titleist AP3s, much like the AP2, feature perimeter tungsten weighting. Tungsten is a fairly heavy metal and Titleist has decided to concentrate the weight of these clubs down in the sole and out toward the toe. This type of Tungsten perimeter weighting creates stability in the golf club so that the face is square through impact. As you might imagine, increased stability means more accurate shots. The Titleist AP3, as advertised, offers a little bit more forgiveness – a welcomed improvement. These golf clubs looks pretty good at address. They have a thin top line, which better players prefer. The don’t look bulky and the clubhead is fairly compact. The look and feel over the golf ball inspires confidence despite the fact that the Titleist AP3 irons have been made more forgiving. The finish on the Titleist AP3 irons also looks nice. It’s not flashy, but looks great in the bag. The only small issue with these clubs is the small offset that Titleist has added to the longer irons. For you purists out there that are accustomed to simple forged irons, this can throw you off a bit at first. But it all it takes is a bit of getting used to. Overall, the Titleist AP3 irons look great. The Titleist AP3 irons are a great new addition to the world of distance irons. They offer good golfers more forgiveness and distance than found in a traditional Titleist iron. 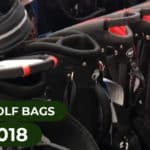 This is a welcomed improvement for golfers that were formerly scared off by Titleist golf clubs. The Titleist Ap3s look great at address and inspire confidence as you stand over them. Titleist has a done a great job blending the AP1s and AP2s into a new iron that fist right into the middle of that gap. Overall, the Titleist AP3 irons are great distance irons for solid ball strikers. I just purchased a set of AP3 irons, had them fitted to me, and I couldn’t be happier. 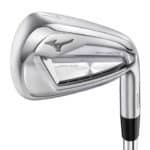 Great feel and feedback, plus significant distance improvement over my older Mizuno MX 23s. Great to hear that you like them. These irons are getting rave reviews. 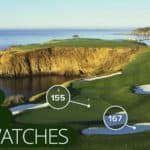 They’re a lot easier to hit and they really bring Titleist back to the table as an option for weekend golfers after being absent for a few years.